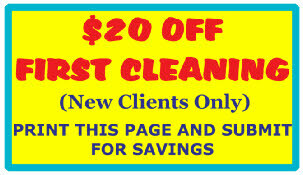 ﻿ Bowling Cleaning Service of Fredericksburg, VA Providing A Comprehensive Offering Of Cleaning Services! BOWLING CLEANING SERVICE, INC. is a locally owned professional cleaning service company serving the Fredericksburg, Virginia area. We provide a full array of cleaning services in homes and offices located in Fredericksburg and Spotsylvania, Stafford, Prince William, King George, Caroline, and Orange counties. We are a family owned and operated business. We pride ourselves on providing dependable, reliable, and quality cleaning services at competitive rates. BOWLING CLEANING SERVICE, INC. is fully insured and bonded. Our employees are fully trained professionals with a minimum of three to five years experience. Extensive background checks are performed on our staff prior to being hired. The cleaning supplies and equipment we use to provide our quality services are furnished, unless the customer prefers otherwise. In addition to our many services, we also provide “Property Preservation” services which includes securing, debris removal, winterizing, minor repairs, occupancy checks, lawn care, and cleaning. 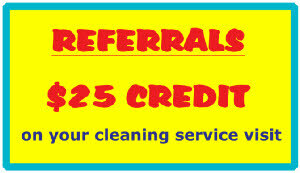 ABOUT BOWLING CLEANING SERVICE, INC.
Brenda Bowling is the owner of BOWLING CLEANING SERVICE. She started her company in 1998 in Charlottesville, Virginia and later relocated to the Fredericksburg area. She leads the dedicated professionals of BOWLING CLEANING SERVICE who are meticulous in providing the upper standards of cleaning for your home, office, new construction, listings, move-in/move-out, and bank foreclosures. Brenda’s commitment to excellent customer service is the foundation of the success of her company. A reference list of former and current customers can be made available by contacting BOWLING CLEANING SERVICE. Brenda and her staff work by a Quality Control Checklist that is provided to the customer after each service. Each home and office is unique, therefore the cleanings are customized. Brenda guarantees all services. 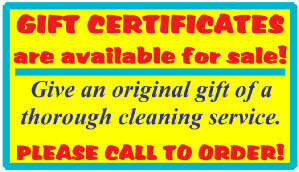 CONTACT BOWLING CLEANING SERVICE, INC. If unavailable, please leave a message. All phone calls are returned the SAME day!